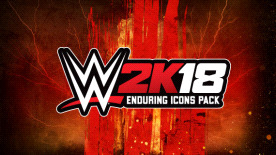 Celebrate the illustrious careers of 5 of Sports Entertainment’s most incredible Superstars with the WWE 2K18 Enduring Icons Pack. Download and play as The Hardy Boyz as well as WWE 2017 Hall of Fame Inductees the Rock ‘n’ Roll Express and “The Glamazon” Beth Phoenix. Disclaimer - This item is included in the Season Pass premium content purchase. Requires WWE 2K18 (base game) to use this DLC.